This is the last OP I am going to review in this brief series of Ops. It has won quite some awards (including being selected as best whisky for 2012 by the notorious Jim Murray) which made it quite popular in recent years. Although I do not see eye to eye with old Jimbo, I must admit this is a very very good whisky, although it’s a far stretch to call it best whisky for 2012. Taking into consideration Murray’s other choices , this looks quite conservative now, doesn’t it? At any rate, I re-tasted it during a recent OP tasting I held in Tel Avis as part of a series of whisky tasting I am hosting locally. Nose : deep honey and apple peel, banana bread, Sweet pastry dough and a hint of lemon rind. Vanilla ice and delicious wood. Palate: a nice sweet start with the fruity banana notes, baked apples and cinnamon buns. Now the wood kicks in, with some bourbon influence ; marzipan, coconut shreds and more vanilla. Some chocolate too and a spicy ginger ice cream. Finish : more coconut goodness as the ex bourbon casks kick in, chocolate nut and a hint of sea spray. 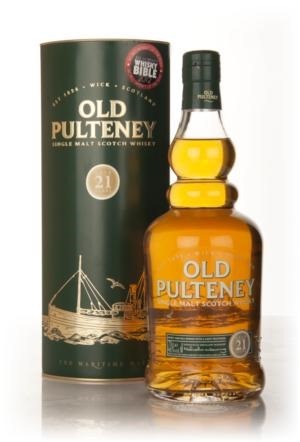 Available locally for around ~500 NIS, which is a good price, for a very good whisky. It may not be the best whisky in the world, but it’s worth your while. VFM I’d prefer the 17 yo, but this is hedonistically sweet and fruity, and very very more-ish.